I’ve done my research on the company, and the interview went well, but there are some things that I just couldn’t get information about, even in the interview. I want to know just how long the average individual stays in this particular job before moving up, as well as what other opportunities could be expected in the future. Also, who are the people I would be working with? How good are they? What kinds of tools and support would I have? Finally, I am a little vague on what the salary level might be. My question: Is it okay to ask these questions in the interview? Thanks for your help. I’ll go you one better: Don’t accept this job until you get your answers. Your questions are excellent, especially those about the people connected to the job. (See It’s the people, Stupid.) If the answers are unsatisfactory, these are deal-breakers. Many applicants are afraid to ask questions that seem “forward” in the job interview. I don’t know where this hesitation comes from. Perhaps it’s part of a deeper feeling that the job candidate is some sort of supplicant whom the employer steps down from heaven to talk to. Your questions are not only reasonable, they are very important. If the interviewer can’t answer them, ask to talk with someone who can. If the company won’t make any effort to answer you, you need to reconsider whether you want to work there. Here’s another make-or-break question to ask the employer, after an offer has been made to you: “May I see the complete benefits package so I can study it along with the rest of your kind offer?” Many employers will decline to share the benefits details. Find out Why companies hide the benefits. Don’t be shy. Interviewing is a two-way street. They want to know a lot about you, and you need to know a lot about them. Interview them. Don’t lower your expectations because they own the job. Remember that you own the solution to their problems. Part of my work as a headhunter involves preparing a candidate to interview the employer effectively. I’ve found that good employers don’t react well to a candidate who just sits and answers questions. A good candidate probes for information, too. A good candidate expects candor and full disclosure. Be polite and diplomatic, but also be bold and assertive. 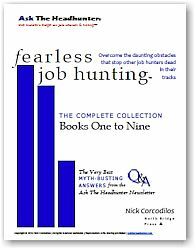 Get answers to every reasonable question you have, or don’t take the job. What’s a reasonable question? It’s one that, if left unanswered, might lead you to reject an offer. If you’re left feeling uncertain about something now, it’s going to be much worse once you’re on the job. Trust your gut: Get answers to every question that matters. A final note: Make sure you’re talking with the person you’re going to be reporting to. While the personnel department can answer questions about benefits, company policy, and the like, you’re not going to be interacting daily with the personnel staff once you’re hired. Your key questions are about the work, and it’s the boss who can tell you what you need to know — if you ask. And don’t be afraid to ask, ever. If something is a make-or-break issue, it’s better to get answers before you accept the job. The best employers will be happy to share the information you need. What tough questions do you ask employers? Has an employer ever refused to answer? Are there questions that are off limits for job applicants? I’d love to hear from employers, too. I have read this current topic and I see it’s validity. It’s my perception that these days, it’s a buyer’s market. I think/feel that anything you say or do could result in NOT being hired. I know, who wants to work for a company like that? Who treats it’s people like that? In a perfect world, the answer is a resounding NO ONE! But, when you’ve been out of work for several years and are running out of money, do you want to take that chance? You need to evaluate just how much risk you want to take. Where is the line? Ask too much or come across at all confrontive and the job disappears. So, what do you do? My personal position is not as an employee but as a temp, a contractor. I frequently bite the bullet, put my head down, learn as much as I can, do as good work as I can… and pray for the next and hopefully better contract. Just my opinion and thoughts. On my worst interview ever, I asked a simple question, and got a simple wrong answer. I showed the hiring manager a simple diagram that I had devised showing the complexity of my work, and how I used it to create value, and got a blank, puzzled look. When I was a hiring manager, I hired people because they interested me, or were interested in the work we did. I’m one of those “discouraged work searchers” who’s laying low for a bit, but when I “return to the market”, my questions will be very specific about what kind of tools I’ll have, or be allowed to procure,in order to do the work effectively. It’s not an exotic list of the latest and the greatest, but really just a basic list of the things I need to keep the physical and the metaphysical work environment moving forward. If they won’t answer these questions, I’ll politely end the interview. Nick is right on, a lot of places do not realize that interviewing is a two way street. Places are more than welcome to reject me for any reason they want to (other than a protected class), and it is only fair for me to reject them for what they say and do. In other words, if they don’t like my answers to their questions, they will reject me and the reverse is also true. George does bring up a concern. The problem is you have to set your own standards of what you’ll accept. Secondly, if EVERYONE held employers to a higher standard, then things would not be a problem. Nick’s reader’s questions are basic, but sometimes you find answers not in words, but in actions and what is NOT addressed. This isn’t Zen. My mother (who owned a manufacturing business and ran my brother’s medical practice) advised me to look at deeds, not words. An employer may tell you what you want to hear, or say ‘it’s in the future plan’ but somehow you know from your other intel that they cut support, never add. But suppose you can only go with words and available information, and it isn’t enough? Another technique that market researchers (and artillerymen) do is bracketing–ask questions several ways and see if the answers are consistent. So instead of asking a question directly about advancement (confrontational), ask if people in similar positions to the one you’re considering are still with the company. Ask about a typical career path of people who enter at your level. About the people you’d be working with, ask about the experience they bring to their jobs, or even more indirect, ask about what kind of people typically work in the department. By this way, you make it a little more abstract, which invites the responder to make it more real by giving examples. But if he/she answers even more abstractly or airily–that should be a yellow flag. @ George, totally agree. Sometimes you get the feeling in order to get the job, you should not push too hard. I was just in a situation where I think I asked too many questions, because of some of the answers (or non-answers)received and actions (again) I experienced. Sometimes you just go with your (dreading) gut and have to do it. Am in this situation now. Donald Rumsfeld put it this way: there are knowns, there are unknowns, known unknowns and unknown unknowns. Entering a job (and well into it), we’ll always have unknowns. The best we can do is try to know what is unknown and assess the personal risk. 1st things 1st, very few candidates ask ANY questions or questions that are obviously tossed in because someone told them they should ask questions. A good manager, knows the door swings two ways, that what makes a candidate good…is good & tough questions. When you ask questions about the organization, including it’s leader, you’re signaling you’re not just trolling for a job, but taking care of business…your career. If you think working for me adds value to your career, you’re going to add value to my organization…A manager is only as good as his/her team. If all you care about is a job, that’s underwhelming because jobs change, go away and if you can’t adapt including creating new ones..my organization can’t adapt. An oversimplification, but you can divide managers into caretakers/baby sitters or creators/value adders. The former just take care of business, react. The latter create business and are pro-active. If you’re ambitious you don’t want to work for the former. It’s OJR, On-the-job-retirement. A key question to ask the hiring manager is what he/she is trying to accomplish? Is there an idea or vision driving them? That’s useful information, and if they’re on a roll they’re looking for people who can help them fulfill their goal, not just someone who is just task oriented. When I interviewed I had a lot of vision on my side. And I knew that. So my approach for people I was interested in was to just set them up to talk to people in my team, so they could balance my blue sky with ground level reality..what a day was like working for me. And if it happened to be on a meeting day, having them sit in. “What sort of person succeeds at this organization?” will tell you an awful lot about expectations and culture. And if you ask it early in the interview, you have the option to tailor your presentation of yourself to fit the interviewer’s ideal. During job interviews I very often ask the Hiring Manager interviewer what their prior position was with the company or with another company. When I want to work for a company I want to work there because I can make a difference for them if they hire me; I also want to work there because I can learn from them by doing their job and management task projects. My field? Investment Management and investment research — especially Venture Capital investment management. 1. Flew me out on their dime and the tickets were already paid for by them when I got to the airport. At least I know they were serious because that was $1000 already sunk into me right there. 2. They told me the pay range up front and sent the employee benefits manual before I even called them back. 3. During the interview, the boss I would be reporting to, sat down with me, drew an org chart, outlined the duties of everyone, even in other departments and outlined their workflow. He also said “40% of your time will be spent on X, 40% on Y and 20% on Z.” He even discussed some of the issues and challenges they were facing because this was a relatively new process/department. All of this went on without me asking. 4. 2 of the managers were very open about career paths within the org. It seemed like they encouraged people to move around, not just in a linear fashion. 5. They use a different software package that what I have used for the last decade. They did not seem phased by this, and asked technical questions in what I was familiar with. One of the people said that it was important to know the “theory”, and the syntax would flow from that. They were also gauging a lot of soft skills as well – at least from the impression I got. I found this approach to be refreshing. 6. It seemed like the interviewers took an interest IN ME. We did shoot the bull about projects and interests we were doing in our personal time. I had to say I was impressed. The interview was 2 weeks ago and I have not heard anything yet. @George R. Goffe: No doubt, there are risks in this approach. And I’ve got no beef with anyone who needs a job, any job, to put food on the table. Points all well-taken. 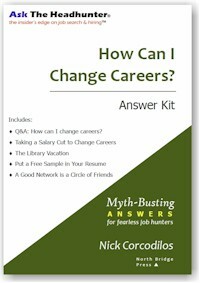 @Dee: Excellent tips to help confirm answers a job hunter gets. Another way to do this is to ask/volunteer to spend half a day with the team “so we can get to know one another better.” (See Don Harkness’s comments.) Alternative: Ask to meet the 2-3 people you’d be working with most closely. Even less intrusive: Ask for a “cook’s tour” of the facility, where you can meet and briefly talk with some employees. You’ll learn a lot. @Anonymous: Sounds like a great experience. Delays in getting back to candidates are, unfortunately, common. Try this: Send an e-mail to the lead person/hiring manager. Include a link to an article – something that’s very relevant to your meetings, something that’s potentially useful to them. That tells the mgr your motivation is still high, and you’re still thinking about the business. I assume you’ve already said, “I want to join your team and work with you.” (Assuming you do, of course.) If you haven’t, it could make all the difference – a good manager wants to see a clear commitment. (The details of any offer are a separate discussion.) I wish you the best on this! Yeah, unfortunately, I think they are going on a hiring spree in that department/division. They are part of a larger conglomerate, where HR/Finance/Accounting/etc. are shared. So, they may be able to make a decision but it may take a bit to get sign off and a offer out. And Easter/Spring Breaks probably don’t help either. During a 4.5 hour marathon interview, I once asked “What do you like the most/least about your job?”–The person I asked had the same job as the position that I was interviewing for, one woman responded “..It’s not that I hate my job…” I don’t even remember what she said after that, I knew that was not a place that I wanted to be working.. 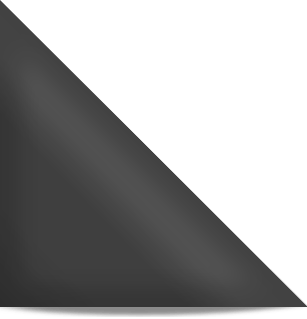 Even though the prospective employer may state the alleged benefits (i.e. “arbitrary” bonuses),my banking experience revealed a gross disregard for such benefits by weaving huge loopholes for their semis to pass through. Ethics has gone the way of the dinosaur, at the risk of stating the obvious. Maybe this is banking specific, but I think not. Interviewing is a two way street. I find a number of employers don’t realize this. I had one call me the other day trying to recruit me. They wanted me to come in for a two hour meeting with their boss for a role they couldn’t give me any details on. Now when I mean details I mean things like, what’s the base? When I asked this simple question, they woman got very passive aggressive with me. Now I make nice money and I know that a lot of other companies offer less or about the same so I’m not taking what would have been 4 hours out of my day to go chat with some guy when I don’t even know if we are talking the same language for compensation. Yet she felt I had insulted her for even asking. Imagine if I as a candidate acted that way when they asked me how much I make, they would not even consider me after that. It goes both ways. @Edward: I could write an entire column on your story. STUPID. That’s the most generous term I can think of to describe a company that calls YOU to recruit you, but won’t give you necessary details about what it’s recruiting you for. Imagine trying to get a date with someone who’s never seen you before, and you refuse to say where you’re going to take them for that date. STUPID. This ticks me off so much that I’ll make you an offer. You send me an e-mail with name and phone number of the employer and recruiter, and I’ll call them to learn more. I’ll publish the results. You can’t make this stuff up. 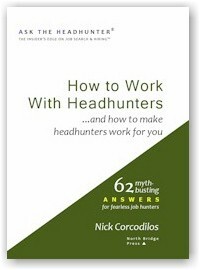 nick@asktheheadhunter.com. If they contact you and can’t give you a job spec and pay, why bother…? I have one question – why wouldn’t an interview schedule include the people the candidate will be working with? Who better to evaluate him or her? I read a question in some dumb newspaper job advice column where the candidate was offended at having to talk to actual workers – so the stupidity is sometimes on both sides. BTW I’ll confirm your point that candidates who ask questions, especially ones that show they have researched the job, are much more likely to get offers. @Scott: I really, really don’t know. But I think many companies believe the hiring process is HR’s job, and getting the work done is another department’s job. And the two don’t mix. I had an interview for a position, the person who interviewed me (report to) seemed to liked me, after I followed up with “Thank you email” she got back to me and told me I was overqualified, and she would like to interview me for a higher title with her boss. Met w/ her and her boss, interview went well… an offer was extended, however I proceeded to ask her exactly what will my hours be, as every office they have seemed to have different hours… this unfortunately opened a can of worm… she technically couldn’t tell me… I had a conference call with her and her boss… who went overboard… technically told me what time I started, but couldn’t tell me what time I ended. Now, don’t misunderstand.. I’m available for emergencies/the unexpected… all I wanted to know was the average or the regular office hours so that I can my daughter’s daycare… they told me to think about it, and give them an answer the next day with my answer.. Before I made my decision, I had an offline conversation with the lady that first interview me… she explained the reasons of her boss being so strict, but technically that I wouldn’t be in the office pass 6 or 7… with that said.. the next day I got back to her, and thanked her for the conversation and clearing things for me, and that I would like to move forward with their offer. Now, she emails me and says.. okay, let me discuss with my boss and I will get back to you today. Please do not give notice until I get back to you. REALLY???? WTF??? Is it so wrong to ask for your hours????? Nini, do you have an offer in writing? Unless you do, you don’t really have an offer. I am thinking that the impression you gave was that you are overly concerned not about the office hours, but the time you will be working there. The fact that it escalated to a conference call and now that you accepted, you’re being told that further discussion with the boss is required and not to give notice on your present job. It is not wrong to ask for your hours–for instance, with the company that at the last minute pulled back a negotiated and accepted offer, I was concerned about their early closing on Friday then having to be in the office on Sunday because they were on Israeli/Orthodox hours (an American company!) It turned out no office on Sunday, but expect calls and answer email–and the Friday early closing wasn’t real. But for whatever reason, I’m thinking that your offer wasn’t an offer, hours are a big deal to them, and if you have to depart reliably because of child care, it is now an issue with them. I hope that’s otherwise, but I’d start looking again. @Dee, see they gave me an actual written offer. Their HR Director send it to me. To me asking for the office hours so that I’m sure my current day care works, is not a big deal. But, perhaps is a big deal to them. I sincerely told them being at the office after hours is not a problem, I will make arrangements for it, but if it’s something that happens everyday, then I need to know this as my daycare closes by 6pm and I will need to get someone else. I don’t understand why is that such a difficult question. I never said, I can’t get the work done, or that I will be looking at my watch every hour to make sure I’m not late. All I wanted to do was make sure my current daycare will still work once I am at this new office. Does that make sense? At this point, I don’t even know if I want to work for them. Is not the first time I have asked an employer about hours, it should be something common for people to know. Unless you have signed up for a 24/7 whenever kind of schedule?? @Nini, all I can say is wait and see, because their actions will speak louder than words. To you and to prior employers, your asking for office hours may not be a big deal. To the new employer, it sounds like it is. Their issue, not yours or XYZ Company down the street. Indicator #1–they weren’t upfront about it. Indicator #2–their reaction when you brought it up. It doesn’t matter if they asked you directly, or what you ‘never said’. All you can do is wait and see. @Dee, I’m just nervous now.. I don’t know if this the right company. This is not my first job, and seeing this is giving me a bad feeling about it. I’m sorry if this is getting you anxious. It seemed from the first note that they were going to get back to you right away. Have they? If a few days have passed, an email reiterating your interest and dedication to the time in the office and to making appropriate arrangements is appropriate. What I do believe, however, if this employer is making an issue about hours because of prior history, your question ‘smoked them out’. Perhaps they do not want someone who has a child care situation–nothing to do with you, but their lack of flexibility or a prior bad experience. If this is always in the back of their mind, this may not be the situation for you in the long run. You ask whatever questions are important to you. What is a deal-breaker to me may not be a deal-breaker to L.T. Nina Paula’s question re what the hours would be is a good example–it isn’t that it is a deal-breaker in the way we usually think of deal-breakers, but in that she has to arrange for daycare/childcare, and has to know if she will need to change daycare providers should she get this new job. For some reason, the employer freaked out. NP, no, to me, it isn’t a big deal. If the reason they couldn’t tell is because of the nature of work (maybe there are times of the year when everyone from the mailroom clerk to the President log more hours–when I worked in insurance, late January/early February through tax day (aka tax season) was very busy, and got busier as April 15th drew closer. Depending upon how many annuities were sold and how much extra (temps) help we had, we could all expect to work longer hours. Yes, most of us got paid for them. But it meant that for the women who had kids, they often had to make other arrangements for those two plus months because the longer hours weren’t consistent. You couldn’t expect to leave at 4:30 or 5:00 every day, nor could you expect to have to stay until 7. Sometimes we got out at our regular time, sometimes there was so much work that we were all scrambling, even with the extra help the temps provided, and we all pitched in and rotated to help out other teams, so if I got caught up, I’d find out who was behind and needed help. Others did the same for me. And sometimes we still had to stay late. It was the nature of the beast. Retail is like that during the holiday season. Sometimes it isn’t so much a season for a particular profession but project-driven. If projects get behind schedule, then often people have to work later to try to get back on schedule. It is possible that the employer didn’t give you an answer because they couldn’t–there might be neither rhyme nor reason re when you might have to stay later or not. The other possibility is that they’re unorganized scatterbrains and haven’t got a clue. Rather than tell you, they’re freaking out. I’m with Dee–you’ve done what you could, and now the only option is to keep looking. I always ask to meet with people and depts. that are at least one upstream and one downstream from the dept. in which I would be working. I also ask to meet with anyone else in the company or agency or school with whom I might have dealings–it doesn’t matter if the dealings are frequent or occasional. If they (people, depts.) impact my job, my workload, my ability to get things done, then I want to meet them. It isn’t enough to meet those I’d be directly reporting to and those I would be working with in my own dept., but also the others. If they mess up (or if I mess up), it means projects don’t get done, deadlines get missed, and we all look like idiots. I’m being much blunter in my comments here than I am in an interview. I politely explain why I want to meet those in other depts. whose jobs and work affect me. 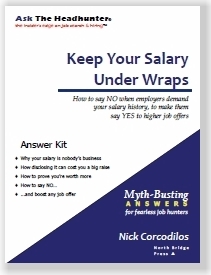 I ask about salary (after there is an offer), benefits, schedules, hours, travel, and more. I ask for clarification if necessary. Extensive travel to one employer might mean traveling for 3 weeks out of every month (including long distance travel) or it might mean traveling locally (I’d be adding to the mileage on my car) or it might mean intensive heavy travel all over the US and OS for 4 months, including local travel for evening events after the business day ends, but then no travel from for 6 months. I ask why the last person left the job (was she promoted? was she fired? did she run screaming after a week?) AND how many people have held THIS job for the past 6 months, year, two years, etc. A refusal to answer is just as telling as “we’ve had 8 people in the job over the last 6 months. I’ve lost count how many we’ve had over the past 2 years”. I ask if they promote from within (if the previous worker got promoted, that can be a good sign). Asking about hours and getting “we get in at 6 am and knock off around 8 pm” tells me that there are bigger problems than I could fix and that I’d get burned out in no time. That kind of schedule would not leave me much time or energy to start my next job search. I ask how long people have been there. I ask if I can talk to the person or people who had the job I’m applying for. I ask if I can spend a few hours observing what they do–I want to get an idea re how they work, do they get along/work together well or not, what is it like, is the boss there to guide and help when needed. Ideally, employers should provide this information upfront, but too often there are psych test kind of questions, or the what kind of animal would you be questions. If I’m going to get married (at least for a few years) to this employer, I want to make sure that we’re compatible. I’m interviewing the employer as much as he is interviewing me. @Marybeth, excellent pointers. Why employers are so coy about supplying this type of information is beyond me, because they’re equally key in their process of selection too. Their answers–or odd questions like having a valid passport and credit card, even remarks on how people are so dedicated to the job they get in at 6am and that your predecessor left because he could not give more than 93% to the job–can also say volumes about their expectations. Naahh….trick questions on what kind of flower you’d be, how many manhole covers are in Minneapolis or psychologists conducting FBI-level stress interviews are much more FUN. I understand when there are peak season.. however this job is not even about that… except when it’s budget season.. and for that I can understand.. that’s why I asked “regular office hours” an average… and they couldn’t answer that. @Dee: I don’t know either. Ideally, I wish employers would state the salary or the salary range up front. This way, I wouldn’t waste my time applying for a job that pays too little and that I can’t afford to take. Same thing with benefits–it would be nice to know up front, so I could decide whether I could afford to apply for the job. Making this information available would save employers a great deal of time too–they wouldn’t waste time interviewing applicants who can’t afford to work for peanuts or can’t afford to take a job that doesn’t offer benefits. I can see an employer asking if you have a valid passport, a valid driver’s license and a car–some jobs, like college admissions–require a great deal of travel for months on end. Some of the travel is international, and often admissions staff travel “locally” (could be driving 200 miles or more) for college nights at various high schools. Some sales jobs require a lot of travel. One of my cousins, before he lost his job last summer, used to repair medical equipment and devices, and he traveled all over the world as well as all over the country. One of my former students (from my previous job) is a commissioned officer in the U.S. Public Health Service. He works as an inspector for the FDA, and travels at least 3 weeks out of every month, and some of his travel includes international trips. So depending on job and business/agency, I can understand the questions about having a valid passport (if there is a great deal of travel required and it takes 2 months minimum for you to get a passport, it means you can’t be given certain jobs for some time, should they hire you) and a valid driver’s license and a car. I don’t understand why they would want to know whether you have a credit card or not, unless they don’t have their own company credit cards, so you have to make your own travel arrangements (airfare, hotel, meals, rental car, etc.) and thus you have to have a credit card of your own, with the company reimbursing you once you submit your bills. The questions on what kind of animal, mineral, flower, general or how many rivets are used on an airplane are fun only if my answers are not taken seriously or used to try to psychoanalyze me re how I’d fit in. There are much better ways to find out who I am, what my interests are, how I approach life and work and family/relationships, etc. @Nini: okay….so your innocuous question spooked them. Weird, but it happens. What is telling is that they couldn’t or refused to answer your simple question. If they got that freaked/spooked by such a simple question re your hours, then I wonder how they handle really big issues that are sure to arise at some time. Or maybe they’re being weird because they don’t want to be locked into set hours for that job, although that is easy enough to remedy in the job description and in their offer. Maybe they are monkeying around with the job, and anticipate whoever will be filling it will have to work split shifts (illegal in some states for certain jobs), but it sounds like they’re not telling you because they think if they tell you then it will be set in stone and if they need you to be flexible with your hours, then you will balk or refuse to work with them. Who knows? This too is where I wish the hiring manager would pick up the phone, give you a call and have an honest conversation with you re this matter. But they’re not, so something is hinky, whether it is about the job itself or dept. or the boss or the company. You didn’t do anything wrong, and in fact asked a very sensible question. You don’t own their reaction, so the only thing is to move on and keep looking. @Edward: that is just beyond weird. So they recruit you, then can’t answer an important question like salary. It sounds unbelievable, but I have been reading Nick’s letters and others’ comments for almost 4 years, so nothing surprises me anymore, at least not when it comes to interviewing and the weird dance that everyone wants to do. Your story is the one that I would like to hear on 60 minutes or on C-Span’s Washington Journal when there is a segment on job hunting, the job market, and the challenges we job hunters face. It is bad enough that the economy is still lousy, that many employers aren’t hiring and aren’t paying decent salaries. Your story is even worse, and reiterates that much of the problem that employers claim to have filling jobs isn’t with job hunters but lies with themselves. Before they blame their hiring problems on a “talent shortage” or a “skills deficit”, they need to take a good, in depth look at their own hiring practices. The most skilled candidate can apply for a job, but with all of the road blocks and ditches, plus stupid HR practices, I wonder how anyone gets hired at all, unless it is an inside hire. @Dee: I thought of another reason why an employer might ask you if you have a passport. At three of my jobs, I was required to show various forms of ID as part of the on-boarding process. If you have a passport, that is the only one needed; if you don’t have a passport, then you’re required to show a current driver’s license PLUS notarized birth certificate or a military ID plus notarized birth certificate. I think they also wanted a copy of a bill sent to you at your address, so that is three forms of ID vs one form of ID. But…this is something that comes up after you’ve been hired and are dealing with HR in the on-boarding process, along with all of the other paperwork you have to fill out. If the hiring manager has decided to hire you, made an offer and you’ve accepted, then perhaps he might ask about the passport because having one expedites the on-boarding process, but even so, with none of my employers did the hiring manager ask about it–it was HR that told me what they required when I went in to fill out all of the paperwork. The only reason I can think of for a hiring manager to ask about the passport during the job interview would be if the job requires traveling; not having a passport could mean that you wouldn’t be able to perform the job for 2 months or longer, and maybe they want to be able to send you on trips right away. Oh, and the passport issue only arose for me when I worked for the government–the first instance was for a town/municipality, the second and third for state government. I’ve never worked for the feds, so I don’t know if this is an on-boarding requirement, but I wouldn’t be surprised if it is. None of the private sector employers ever asked for ID as part of the on-boarding process, so maybe it is just a public sector thing.